At 25, she’s a Revlon ambassador, a highly sought after #sponcon queen, an author-to-be with a book out next year, a host on MTV’s TRL revival who is also working on her own scripted television series. TIME named Gigi one of the most influential people on the internet this year, putting her on a list with the likes of Kim Kardashian, Rihanna, and Chrissy Teigen. She’s a boss business woman who pulls in six figures a month, easy, as well as a new era reality star whose following numbers in the millions. It all adds up to her being one of the most visible trans women in the world: She has shared, and bared, all, from facial feminization procedures and breast surgeries to hater clapbacks and real talk about hemorrhoids. And yet. Gigi doesn’t need to think of herself that way in order for the world to foist its expectations on her sculpted shoulders. While the concept of gender identity may be a cornerstone of the cultural zeitgeist now, the reality is that transgender people and issues have only recently been granted entry into the mainstream, and that “transgender” is a word that still sounds unfamiliar to most. Millions of people follow Gigi’s channel; many might say she’s the first trans woman they’ve ever really gotten to know. 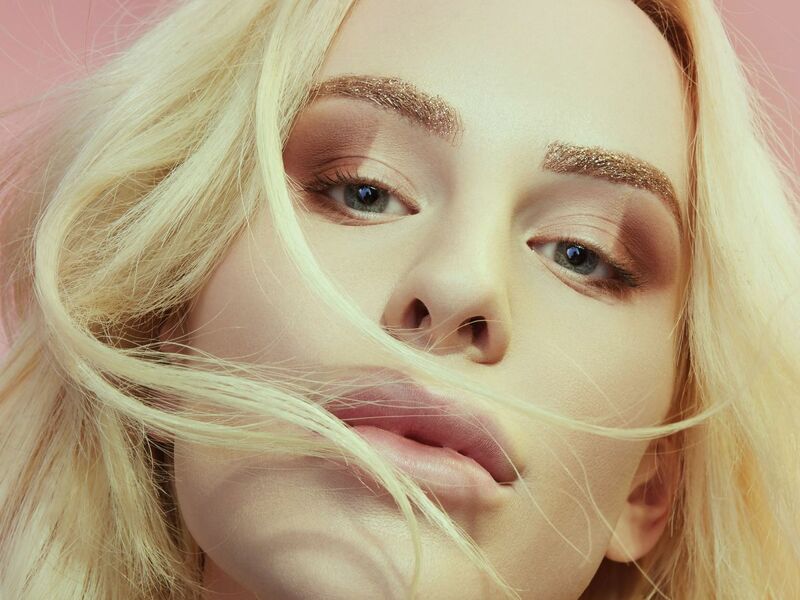 And that’s the true beauty of Gigi Gorgeous: She doesn’t have to be a role model, or an expert, to be a “perfect” ambassador for the transgender community. All she has to do is be herself. Gigi has always been destined for the limelight. In early family videos, she is a smiley toddler vying to be the center of attention, a classic middle child trying to outshine her brothers. “We were so fricking cute, no wonder my mom kept having us,” she said, and she wasn’t exaggerating. The Lazzarato kids were baby duck blondes with rosy cheeks, soft looking like little human marshmallows. Family pictures look like ads for the wholesomeness of Canada, where Gigi grew up. Her parents were adoring, supportive, financially secure — a blueprint of the future she hopes to provide for her own future kiddos. Who are “100%” in the future, by the way, as Gigi puts it while cooing over $500 booties on our shopping adventure. “I loved how graceful it was, how strong everyone looked,” Gigi says about the six years she spent pursuing the sport. “Everyone’s bodies were perfect.” Inspired by the athleticism and competitive by nature, she started training, sometimes three hours a night. At one point, she even switched to a high performance high school so that she could be in the pool during the day, too. Her diving career hit a high point when she won first place at a national competition in Canada, putting her on what might have been an Olympic track. There were the makeup artists and wannabe actors, the lip-syncers, early unboxing phenoms, and Kelly, who wanted to get some shoes. In another category, there were true vloggers like Tyler Oakley, whose early diaristic, low-fi videos helped secure his status as the “first gay person ” many people had ever met. Influencer campaigns and social media crossover stars were meaningless word salad phrases. 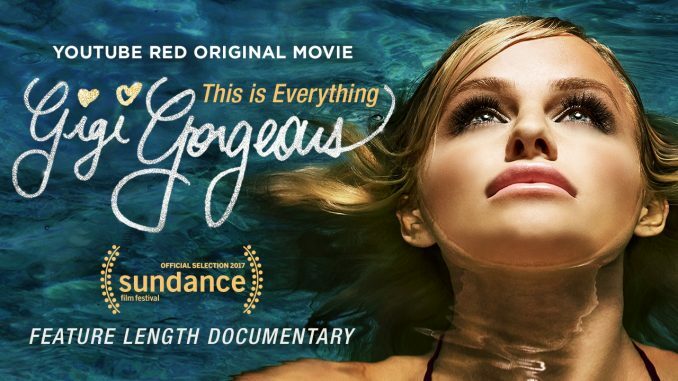 It took some time for the Gregory Gorgeous channel (which has since been changed to Gigi Gorgeous in every field but the ones that would impact long-term search optimization, like the URL) to pick up steam. That first year, Gigi posted a handful of videos; the next, a couple a month. But as the cadence increased, so did the following. The initial inkling that her channel was catching on happened when she was folding shirts at the local mall and someone walked up and knew her by name. “I guess I’m kind of famous in Canada?” she remembers thinking. Maybe if Gigi were to redo her “I Am Transgender” video, she might give that last line a rewrite. After all, she’s evolved a lot in the intervening years. She’s older, wiser, has more expansive worldview.But then again: Maybe she wouldn’t. As a savvy creature of the internet who understands the connection between controversy and clicks, she benefits from a certain level of contentiousness, and from saying what she’s thinking for better or worse. In fact, the “worse” moments have become a seemingly intentional part of her brand. But there are also times when she isn’t trying to stir the pot and still manages to wind up taking heat. When she came out as a lesbian a year ago, after she started dating Nats, she didn’t predict the deluge of people whose minds would be boggled by the logistics of that sexual orientation. Comments like: “The title leaves me confused, would you still be gay or lesbian, I’m not saying this in a mean way,” and, “Why is bisexuality always erased? Why is that rarely an option?﻿” It was aggravating for Gigi, she admits. “I think a lot of people were confused about why I labeled myself that way, because there are just so many terms… It’s hard, even for a gay trans girl,” Gigi says. After all, no one gets a brain operating systems update when gender identity vocabulary evolves. Keeping up can be a challenge. For people who are still working the language out with the best intentions, Gigi is happy to help them through that processing. But for anyone just trolling her videos to tear her down, she’s got a choice acronym: DGAF. “Being on YouTube and online in general has made me build up a really thick skin,” she says. “I’ve heard it all, and I’ve been called every name in the book, over and over.” Still, in spite of everything: Gigi’s comment sections are dominated less by shade and more by warmth. We talk about the internet being the place where people unleash the worst versions of themselves, and too often that’s true. But on Gigi’s channel, the following is mostly accepting and curious. Overwhelmingly, people respond to her with love. But then Gigi got a little bit serious. “People ask me: Are you sick of being labeled as transgender — do you want that word to fade away?” she said. “Absolutely not. I’m really proud to be transgender. I want to bring it up in everything I say, because it’s powerful. It’s who I am.” Gigi has worked hard to become her true self. And that is exactly the person the world needs her to be. Gender and sexual orientation are both highly personal and constantly evolving. So, in honor of Transgender Awareness Week, we’re talking about the importance of language and raising the voices of the LGBTQIA community. Welcome to Gender Nation, where gender is defined by the people who live it. Want to learn more? Check out our Gender Nation glossary. Kate Young for Target Collection Ad Campaign!